CompTIA stands for The Computing Technology Industry Association. It’s a non-profit trade association that issues professional certifications for members of the IT industry. CompTIA education and certifications range from basic IT fundamentals to detailed and specific infrastructure training. Deadline to take CompTIA Security+ SY0-401 exam? Can anyone tell me the deadline to take the CompTIA Security+ SY0-401 exam? I know the 501 materials are out but on their website it seems to imply that you can still do the 401. I would have to create an account on there and email their support to get specifics, which is why I figured I'd ask here to see if anyone knows. When I tried Googling the answer I get everywhere from Mid-2017 to July 31, 2018 and so on. Here's the kicker - I have been studying for the 401 since earlier this year. Been taking my time since my job basically gives me no incentive to do it. Mainly, it's resume padding, but I want to know for sure if I can still do the 401 or if I need to ditch this and switch over to the 501 materials. I am hearing so much about them. Has anyone tried them? I am wondering because I am feeling a little lazy to study again for certs I have but thinking about upgrading them. I am already working with the product and have for years around 20. If you do not want to reveal your honest opinion you can email at inhislikness@gmail.com and still get the point. MCT Certification - How to? I'm an Exchange Admin and have been in technology for some time. I've been thinking of becoming a trainer and thought of earning my MCT. One of the requirements is to demonstrate instruction skills, and this can be done by earning the Comptia CCT+, or MCT-ISC. I called about 10 popular schools, including the ones listed on Comptia's site but nobody offers the CCT+; and if I go to the MCT-ISC.com site and click Contact, it doesn't display. All of these things make me believe that they no longer exist or are being deprecated, which I wouldn't want to take them in that case. I would think the MCT is a popular cert to earn, but I'm having trouble finding the appropriate path. I've been working in the field of IT now for about 15 years. I spent the first 5 years as a PC and network technician and have been the IT Director/Network administrator for the last 10 years. When I was first starting out, I had prepared to take the CompTIA A+ and Network + but I put it off and put it off... and now here I am 15 years later with nothing other than a 2 year certificate degree in IT from a college along with my work experience. I love my job now.. but if anything ever happens where I need to find another job, I'd like to have some certs to go along with my experience to help me along in that job hunt. I have a few certs in my radar. I'd like to purse an MCSE and CCNA... but I have contemplated starting out by getting my A+ and Network+ since I don't feel like it would take much to knock those two out at this point.... but my question is, should I even bother with either of those at this point since they are pretty entry level certs? I go back in forth on that point but could use some opinions. What are some great computer certifications to look into? Both PC and MAC? Networking? All of the above. Is there any certificate for this course? I've worked as an IT Officer for my company for 3 years. I'd rather to quit my current job, I do anything involve in IT, so until now, I know a lot but a little of them. It's hard to join a new job thought I have 3 years of experience like me. I hope to receive your help, guy! I'm appreciate for that. 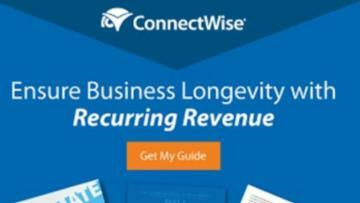 Will a certification be issued after taking this free course? is professor messer a good source to acquire my A+ Certification? Are his videos good or just hype? I would like to get my help desk team CompTIA Network+ certification. Is it possible to take both the training and the tests online? A buddy asked where you can get cheap CompTIA a+, security+, network+ vouchers. Do you have any other recommendations ? I wanted to know what would be more beneficial, as far as certifications between CompTIAs' Advanced Security Practitioner or Security Plus? I'd like to get into some type of Federal IT position and wanted to know which might be a better fit for this in this environment and in general, outside in the "real world" of IT security. I'm planning on getting the CISSP as well, but this certification might take me a bit longer to get and I'd like something within the security environment within the next month or so. Lastly, some those who have taken either or both tests, are all the questions multiple choice? I was wondering what path I should take for certifications. I would consider myself right about intermediate level with hardware, networking, and desktop tech support. 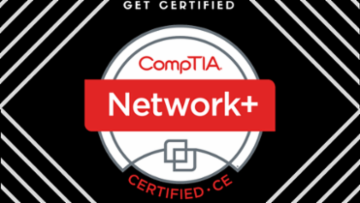 I need to know if I should go the comptia route with A+ and Network+. Or should I go the Microsoft way and get some certifications? Also, what is the name of the Microsoft certification for basic support technician? And what is the name of the Microsoft certification for basic level of networking and servers? Ok question for my COMPTIA test today, I keep getting these wrong can someone outline for ME when exactly to use fix mbr and when to use fixboot and when you use bootcfg /rebuild?? I mean technically couldn't they all fix lets say a missing operating system error? Or NTLDR not found error? or Invalid system disk error? Whats the best way to distinguish?? ?